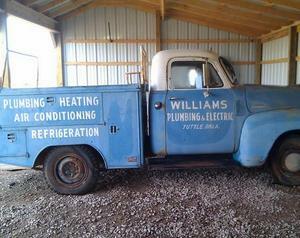 Ron Williams Plumbing Service, LLC is family-owned and operated right here in Tuttle, OK. Since our company opened in 1999, we’ve treated every customer like they were a part of our family. Although our company was founded in the late nineties, our family plumbing tree dates back to 1949 when Ron's dad, Jim, started the family plumbing business. Other companies may offer similar services, but our services are the best, and come with a personal touch. Every customer is important to us and we hope that their positive recommendation will be our best advertising.